Tag Archive | "Pat Capek"
The Cedar Springs Public Library invites you to join in a festive holiday event that will be held on Friday, November 9, 2018 from 1 p.m. to 2 p.m. 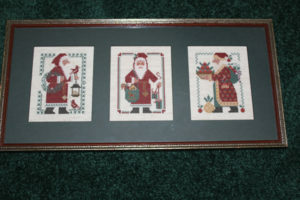 The library will be honoring our local artist and treasure Marge Clark with a holiday display of counted cross-stitch. Marge will be at the library to greet everyone during this time. Along with honoring Marge there will be a cross-stitch demonstration by our local seamstresses Pat Capek and Dorothy Bishop. And best of all there will be refreshments! We hope that you will be able to join us for this unique holiday kick-off celebration. 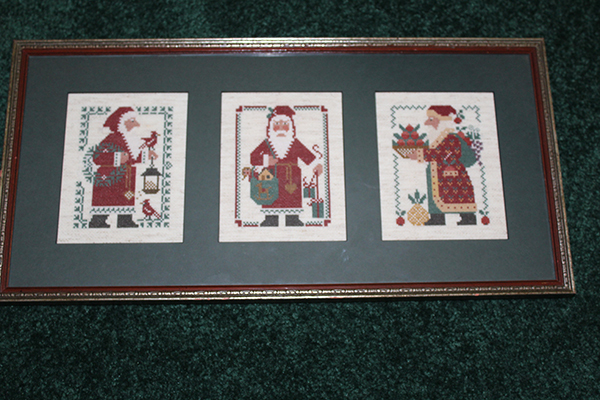 Two of Marge’s works are already on display in the library near the fireplace. Don’t forget to check them out. See you then! The Cedar Springs Rotary Club honored long time Rotarian Pat Capek at their July 27 meeting with an honorary Paul Harris Award for her many years as program chairman. 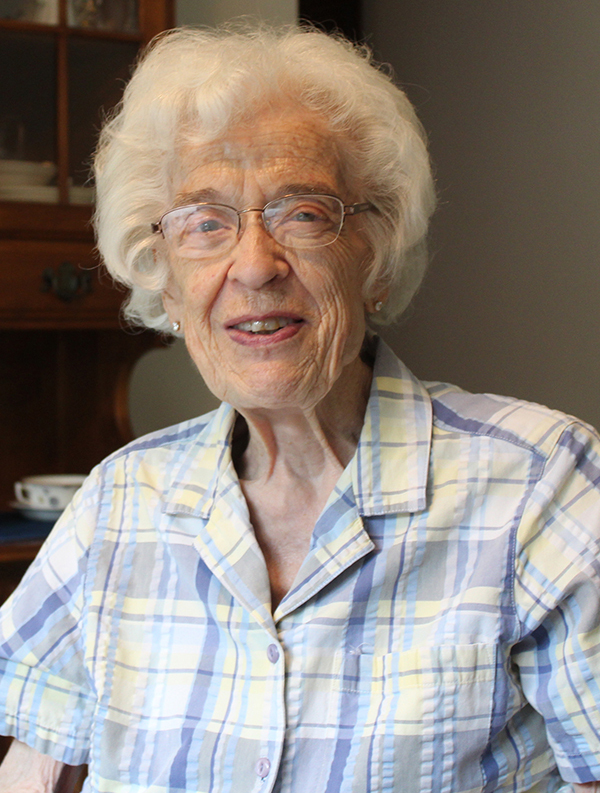 Since 1990, Pat has arranged for programs at least three times a month for the club’s weekly noon meeting. Programs have included a group that brought a flock of parrots that chatted the entire meal, updates by regional non-profits, introduction of new businesses, mission trip reports, unique vacation experiences, students on schooling, exchange students, and the club’s Boy Scout Troop and Venture Crew. Pat was one of the first three women to join the club. She joined in 1982 with Dorothy Bishop and Linda Hunt. 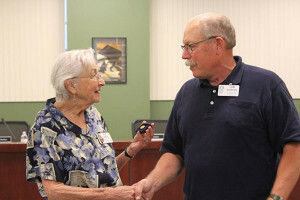 She also past served as club president. Her dedication in arranging these presenters definitely illustrates the Rotary motto: Service above Self.